RARE find! A beautiful home where you can enjoy the tranquility of the country AND the convenience of the city. 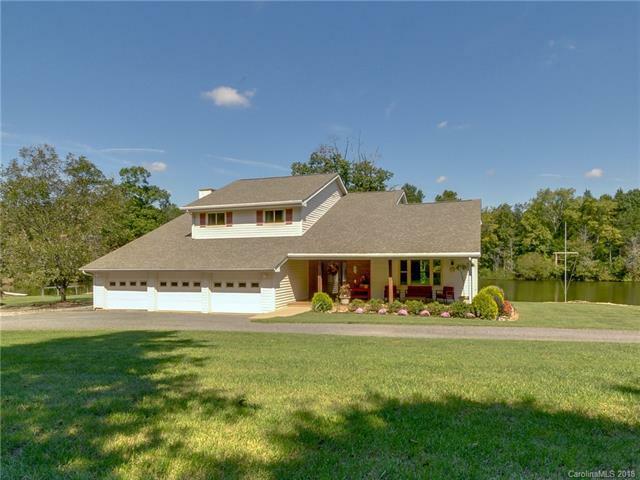 Just 2 minutes from Afton Village and I85 this exquisite 2.5 acre property includes an adjoining parcel and together they equal 3.27 private acres with NO HOA. Imagine coming home every day to this view where you can just relax looking out at the lake, take the boat out or fish for Bass. The sellers have made lots of updates to the home including NEW roof, NEW windows, and a completely updated kitchen. Kitchen features granite counters, huge center island, tile backsplash, wall oven, and breakfast bar. Lots of room for relaxing in either the den or great room with vaulted ceiling. Spacious master has a fireplace and an attached sitting room. Additional features include a large covered porch, 3 car garage, a tractor shed and so much more. Don't wait! This home is a MUST SEE! Please Note home can be occupied as a 4 bedroom home however septic permit is for 3.